Vinyl fences provide nice visual barriers and security for your home. The vinyl comes in a variety of colors and can be used in a few different styles. Below are a few examples. 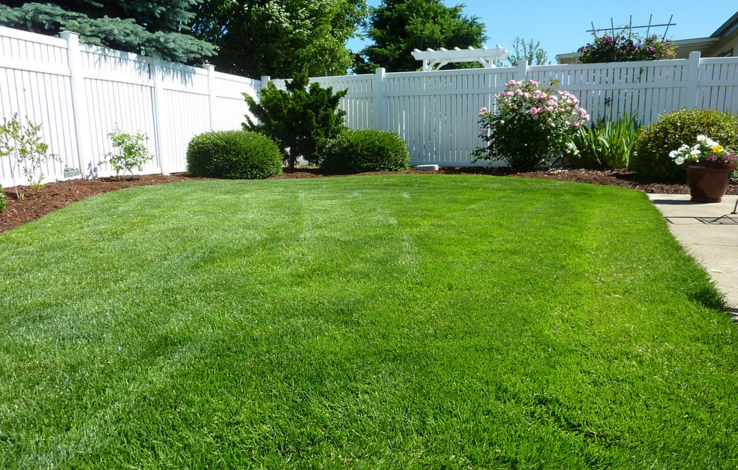 Although vinyl fences cost more, there is a lot less maintenance than a traditional wood fence. They can also last years longer. 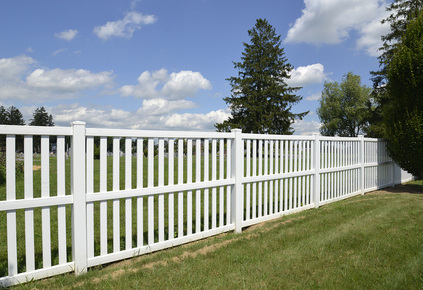 This is your standard white vinyl privacy fence . Although this is the most common color there are many different colors to choose from. This is a vinyl fence with slats. This fence is common in open areas with a lot of wind. The space between the slats relieves the pressure the wind can cause over a long period. This is the standard picket fence but built with vinyl. This style is great for adding charm to your house and keep small pets in your yard. This is another example of a Vinyl fencing in Kansas City with the slats closer together to give you more privacy and still giving a little more open look the the solid.